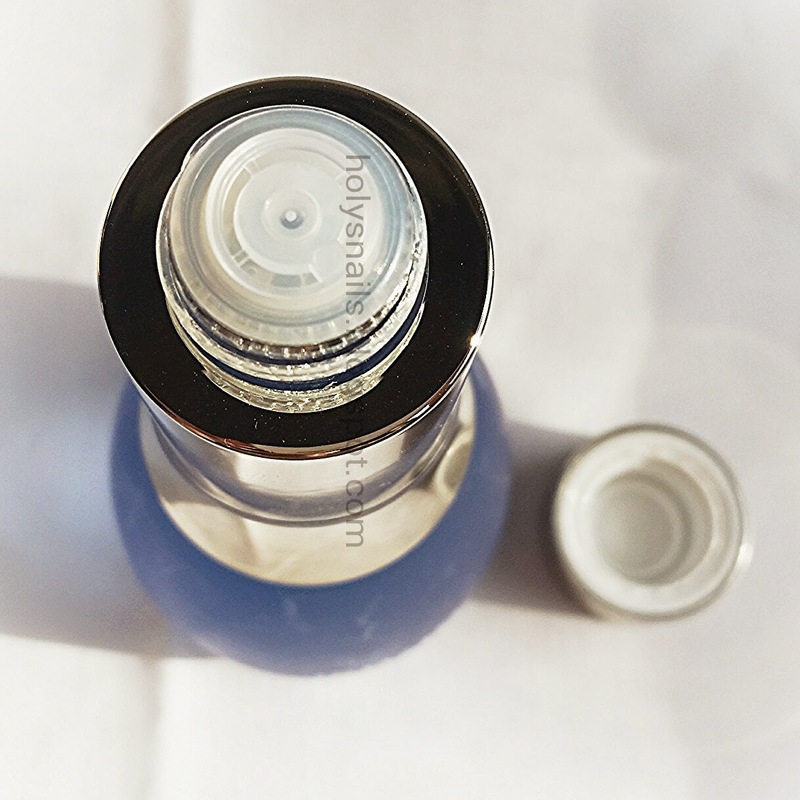 Review: su:m37° Water-Full Skin Refresher (with translated ingredients) | Holy Snails! I'm so excited! We are going to Dallas for a mini-vacation in a couple of weeks, and I just found out there are a bunch of Korean beauty stores all nestled together there. I will make sure to take plenty of pictures! Today though, I will be doing my initial review of the su:m37° Water-Full Skin Refresher. This took way longer than necessary to do, but it's finally here! I promise, I'll get the review for the Gel Lotion as well as the ingredients lists for the rest of the products in the Water-Full line up ASAP! This toner contains an ample amount of fermented bamboo sap, which is absorbed instantly, calms down and moisturizes your skin. Direction: After washing face, wet a cotton pad with enough amount of refresher and pat the entire face with the pad. Let's talk a little bit about the su:m37° brand. They only started in 2007, but their parent company, LG, is well established (who also own other familiar brands such as The Face Shop, O HUI, The History of Whoo, and philosophy). They are a higher end department store brand, whose niche is in fermentation cosmetics. It is even right in their name: 숨37°, with the concept of the skin's respiration (or "sum" in Korean) and the ideal temperature that fermentation takes place (you guessed it, 37°!). Now, fermented ingredients aren't exactly hard to find in Korean beauty products, but su:m37 takes it to a whole new level. You will see what I mean when we get to the insane ingredients list later. It is not difficult to find hanbang (traditional medicine-based) cosmetics, or even fermented products in Asian beauty brands. su:m37 distinguishes itself from other fermentation cosmetic companies in that their products are "naturally fermented," versus artificial fermentation, which they define as "adding a substance to induce fermentation." Expanding on that, 50+ plant species are grown organically in Hokkaido, Japan, where they are then fermented for 1102 days ("3 years + 7 days") at 37°C. They even have a product line called 1102, named after the time dedicated to that process. Their technique comes from eight decades of study by the Otaka Research Center in Japan, where the plant extracts are stored in Japanese cedar kegs for days at a constant 37°C, and even left to "breathe in tune with the melody of a music box while it is fermented dozens of times over three years." Fancy-schmancy! All of their products are beautifully designed with clean lines, and often feature gold or silver and heavy glass. They are marketed as free of artificial fragrances, dyes, and synthetic preservatives. I am such a stingy cheapskate, but I keep liking expensive things. The Skin Refresher comes with 130 ml for a typical retail price of around $48-$55, making it around $0.37 to $0.42 per ml. It is currently 30% off on TesterKorea for $31. As this is a pricier item, I highly recommend getting it when it goes on sale (around 30% is as good as I've ever found it, even through Korean sites) or snagging it in sets (typically with the Gel Lotion, as you can see in my previous post). You can also get little sample bottles of this on eBay or GMarket, where the price per ml would be quite a bit cheaper. Skim through that ingredients list and tell me it doesn't sound like a fancy soup recipe. I remember thinking while translating, "Tomatoes? Bananas? Carrots? This sounds tasty!" By the way, ha. Don't take this CosDNA rating seriously. It didn't recognize like 2/3 of the list. If you have allergies to food, I suggest glancing through this list and making sure your allergen isn't on there. Also, to obtain a sample bottle of this before splurging for the full size, just to make sure. It's a huge list. Now I will admit, that is a sloppy ingredients list. I have scientific names mixed in with common names, but basically if it translates as tomato, I say tomato (to-mah-to?). If it doesn't translate, because it's a native fruit, then I list the scientific name. You can see that su:m37's signature 50+ fermented plant extracts make up the bulk of the ingredients list, but it would be rather difficult to ignore two of the top ingredients: SD-alcohol 40-B (2nd), and straight up denatured alcohol (6th). Those aren't bad ingredients, per se, as they have their uses. I was just rather shocked to see that they were so high up. I understand that they naturally ferment their ingredients, and while some ingredients are extracts, most are just the whole fruit/vegetable/stem/leaf/shebang, so after three+ years, the goopy mess might be way too thick and funky, but...still. SD alcohol (specially denatured alcohol) and denatured alcohol are used as solvents, or to thin out products, and can enhance penetration of the ingredients. They are both ranked as 5/5 for potential irritants though, so that is something to be aware of. The product doesn't smell like alcohol, doesn't strip my skin, and it didn't irritate my face the way the Missha snail cream did, so maybe this is an example of a "properly formulated" product with alcohol. Triethanolamine ranks pretty high as a potentially hazardous ingredient, but it is one of the last ingredients on here, and is commonly used in skincare products in low quantities. That isn't enough to dismiss it as "safe," though, so use your own judgement. Its "star" ingredient, fermented bamboo extract, is 13th on the list. Its benefits include both hydration and anti-inflammatory properties, while being rich in amino acids. This is important, as amino acids provide necessary nutrients for nourishing and repairing skin. A couple of familiar ingredients are glycerin and panthenol. Glycerin is commonly used in cosmetics, as it is both cheap and a pretty good humectant. It is typically found higher in the ingredients list, especially in serums to thicken them. Panthenol, also known as B5, is a vitamin that has been found to be great for skin and hair. It is suppose to be good for treating acne, hydration, and wound healing. The suggested usage for it is between 1-5%, so where it is found in the ingredients list sounds perfect, actually. A notably absent ingredient here is niacinamide, which is a very popular ingredient in Korean cosmetics. While it is great for skin in general, it can negatively affect Vitamin C treatments (specifically, L-ascorbic acid), so some people have difficulties finding products without it. I use Vitamin C in the morning, so I have since switched out my regular morning cleanser (Cerave foaming wash - with niacinamide) and toner to be safe. It has a pH of 5, which is on the slightly lower range of non-acid toners, but nothing unusual. 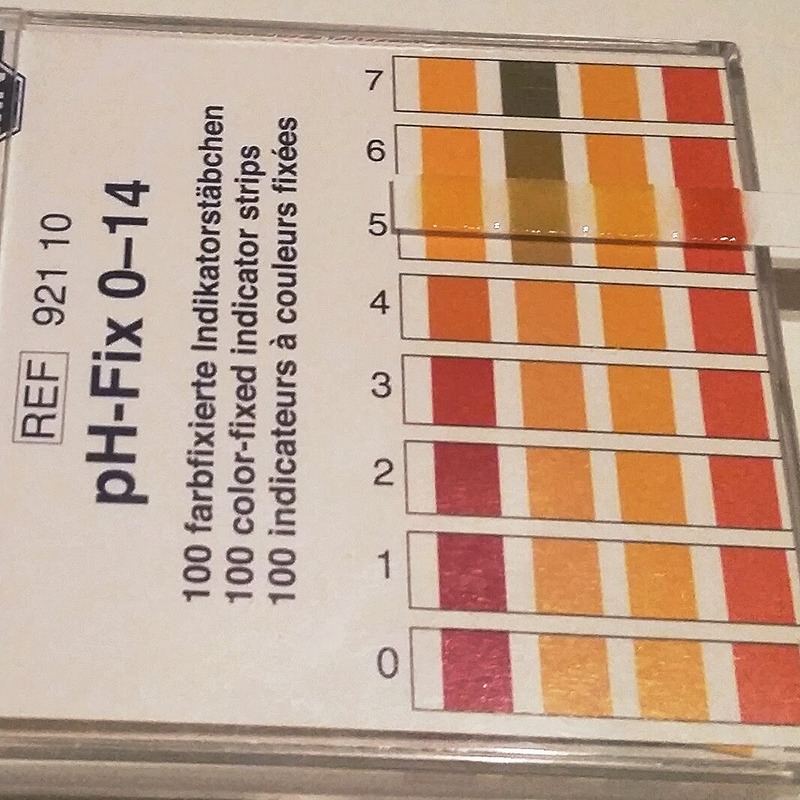 Typically, the only products where you have to worry about pH are the cleansers. This bottle came packaged very securely. It even has a little inner cap on the reducer to keep it from leaking, which I've only seen on a couple of products so far. Without the cap, it looks like this. I have hated this type of packaging for toners. I usually prefer a spray nozzle (and rarely get one), but this is actually fine. 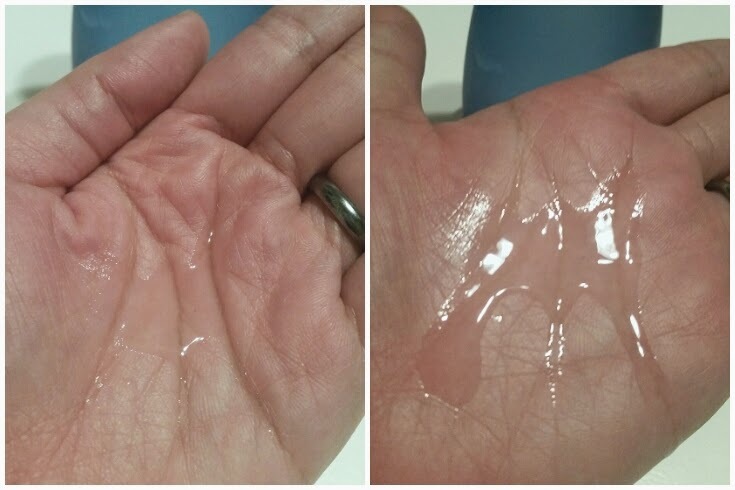 My first toner, the Etude House Collagen Moistfull Refresher, is a pretty thick, almost serum-like consistency, so shaking out drops at a time was a Sisyphean task. 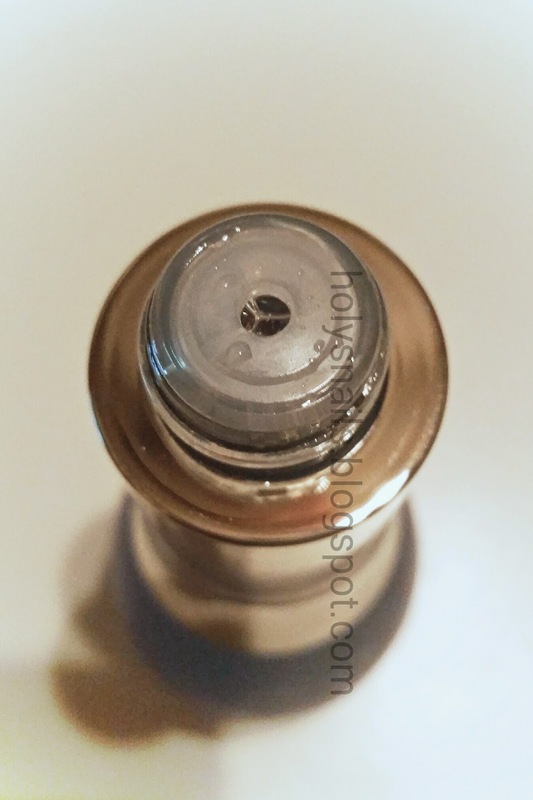 The Missha Time Revolution First Treatment has a watery consistency, and the same type of reducer, but maybe the hole is smaller or something, because it also takes forever to dispense. Regardless, I can easily get the two drops it takes to apply to my face. As you can see, it has a very watery consistency. The high alcohol content, I believe, gives it more slip than a water-based product. This makes it very easy to spread over your face while not using too much, and it absorbs crazy fast. 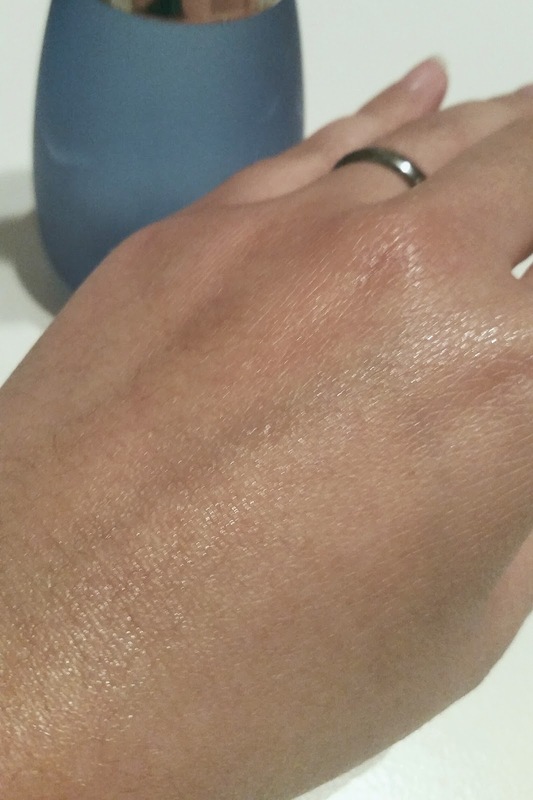 I slapped this on the back of my hand and immediately took the picture, and you can barely tell it's there. It absorbs really quickly, but not to the point where it all absorbs right upon contact so you can't spread it. It smells like a bouquet of flowers, as I've mentioned before, but is quite light. There are some citrusy undertones, and nothing to suggest any sort of funky fermented smells. I must reiterate though that this product is very high in alcohol. It doesn't strip my skin, make it feel tight, or burn or irritate, but that doesn't mean it will universally apply. It is marketed to absorb quickly, calm, and moisturize your skin. It definitely absorbs quickly, and I do feel like it offers some moisture, even with such a light consistency, and is also packed with skin calming ingredients, so it satisfies its claims. The star ingredient is rather low on the list. This is not just disappointing, but a little upsetting even. Google for su:m37 ingredients, and see how many results turn up. Especially in English. 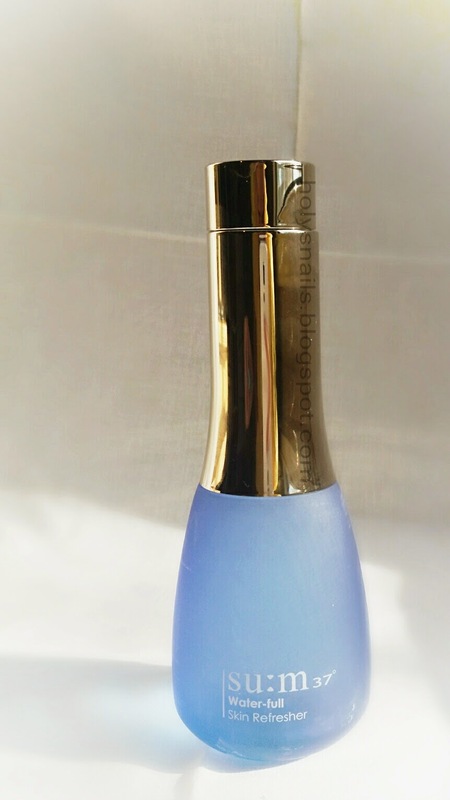 This product is marketed as a higher end toner, featuring fermented bamboo, red clover flower, hibiscus flower, and honeysuckle flower. Some websites selling them even list the ingredients as literally just these four products. Some bloggers tout the greatness of the su:m37 brand in that they don't even use water, and instead replace them with these four, which as you can see by the list, is far from accurate. Of course, this wasn't deliberate on su:m37's part, but I don't think I was the only one who expected a little more. I lusted after this toner and the gel lotion, and I had very high expectations on what it would do for my skin. The bottle is beautiful, and the fragrance is lovely, but I think the ingredients list is rather disappointing. Don't get me wrong, I feel like the product is effective, and it's great for feeding my face, but if what I like out of the product is just the fermented bamboo and the 50-fermented extracts soup, then I would look at other su:m37 products to better suit my needs. I think companies need to be aware that more and more of their customers are looking at ingredients lists, and a list that starts with "water, alcohol, more alcohol" just isn't going to cut it for a toner that retails for around $50. Does it work? Yes, but they need to find another way. They say their techniques are based on eight decades of study, but I think they have to be willing to compromise with some modern expectations as well. The Good: Beautiful bottle, great smell, calming and lightly moisturizing. Doesn't contain niacinamide, which makes it a great followup to Vitamin C.
The Bad: A lot of alcohol, contains essential oils.